Specialist Vocational Training (SVT) Ltd have been established as a privately owned, limited company since 2011. Prior to this, SVT Ltd traded as a subsidy since 2004. SVT Ltd provides high level training courses in the health, social care, and management sectors. 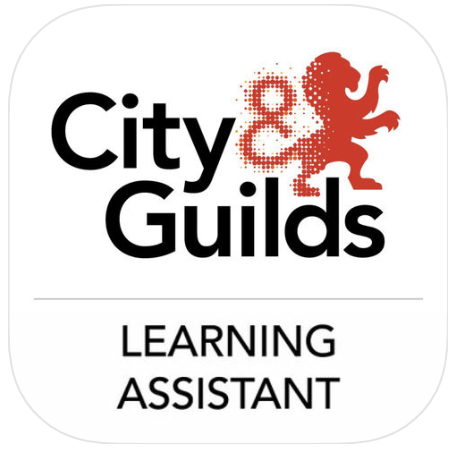 Working closely with the main accrediting bodies City & Guilds, The Institute of Leadership & Management (ILM) & The Chartered Management Institute (CMI). We are highly regarded within the vocational training sector, by both the relevant awarding bodies, and our clients. SVT works with some of the largest companies internationally, including AL Futtaim Group, Boeing, Walmart, Airbus, BP Fuels, Action 4 Children, HICA, and MLM Group to name a few. We are renowned for our high quality of delivery, ensuring each of our clients and students receive the very best support throughout the duration of their training. The prestigious, British courses that we offer are recognised internationally by employers, and we also have an approved centre with both City & Guilds, and ILM, based in the UAE & Qatar. SVT have direct claim status, so you will have your certificate within 4 weeks! Our success rates speak for themselves, and the support given throughout our online distance learning courses is second to none. Our thousands of testimonials speak for themselves! You will be appointed a Lead Assessor at the commencement of your course. They are on hand to provide you with help and advice, ensuring that you stay on track throughout your course. Units can also be completed under professional recorded discussion, and where required, an assessor will come to your place of work to review your coursework. You will also be given access to an abundance of free downloadable resources from our brand-new distance learning portal. All assessors are employed directly by SVT Ltd.
As well as providing first class tuition, and achieving extremely high pass rates, SVT Ltd also offer a referral fee service. We pride ourselves on delivering professional qualifications, giving people the opportunity to progress to a better future. As so many of our candidates are delighted with the learning experience that they receive, we are committed to giving current or past candidates 10% of their friend / colleague’s initial payment (up to the value of £100. T’s & C’s apply). So get your friends and colleagues signed up today! Here at SVT Ltd, we also understand that signing up for a training course can be a large (but very important) investment in your future. That is why we have a range of flexible payment plans to choose from with no credit checks or additional charges. You can get started with your studies within 48 hours, whilst spreading the fees over a longer timeframe. Our corporate clients can also take advantage of our 30 day payment terms. If you are looking to pay in full by credit/debit card, you can also use the code ‘PIF10’ for 10% off your course. SVT Ltd are approved course providers for City & Guilds, ILM, and CMI. All of the courses we provide are accredited by these awarding bodies, and by signing up to one of the courses, you will receive a variety of benefits (alongside first-class tuition and support). You will be given the chance to become a member of one of the professional bodies, once you have completed your course. This allows you to continue with your career progression, and develop your skills further. You can become a Grad member, Chartered member, or Tech member. Every March, SVT Ltd hold a graduation where you get the chance to celebrate your success with your friends and family. There is no charge for this day, and we invite all candidates who have passed their course within the year to attend. You will have the chance to collect your scroll, wear a cap and gown (we will provide this), and have your photos taken to capture the special day. We also have a video testimonial booth, and will be providing food and drinks on the day. SVT Ltd will really look after you from start to finish. We are built on recommendations.